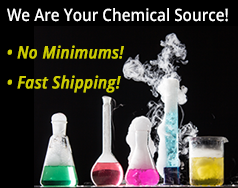 Nutrient agar is used to culture a wide range of bacteria, molds and yeasts. The 350ml bottle of agar can fill 14 to 15 100x15mm petri dishes. Useful shelf life is approximately one year. This kit will ship UPS Ground under "normal" weather conditions. In extremes of heat and cold, it would best ship UPS 2nd Day Air. One 350ml bottle of ready-to-pour nutrient agar. One sleeve of 25 sterile, 100x15mm plastic petri dishes. 20 individually wrapped, sterile swabs. Directions for preparation and use. 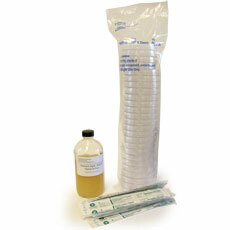 Nutrient agar is used to culture a variety of bacteria, plus yeasts and molds. Bottle of Ready-To-Pour Nutrient Agar. Sterile swabs - At least one per dish. 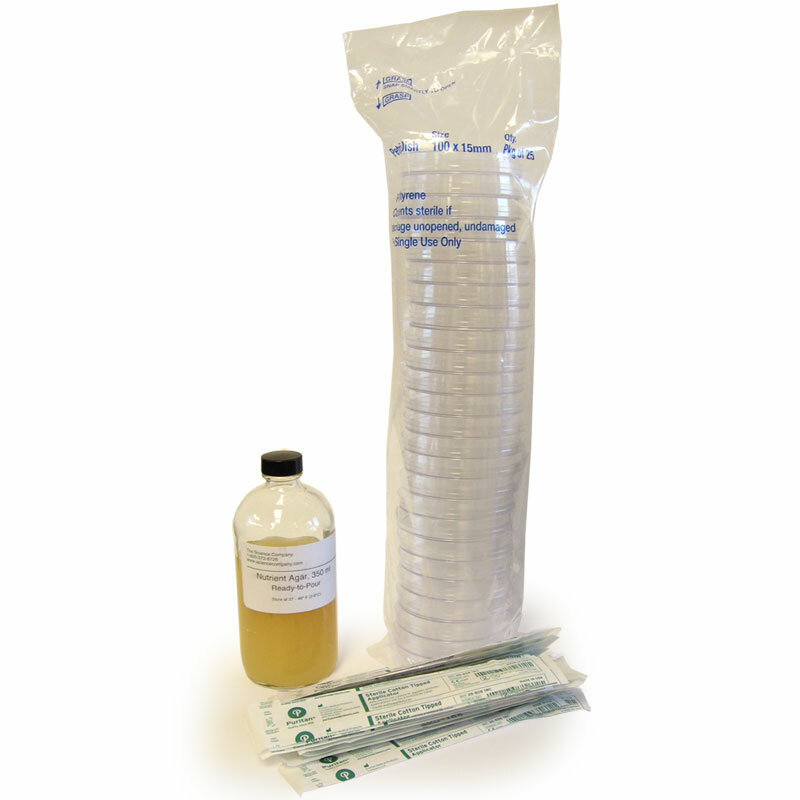 The 350ml bottle can serve to fill 12 to 15 petri dishes with approximately 25ml of agar to depth of 6-7mm. Leave cap on bottle and loosen prior to placing in a microwave. To accommodate variations in the latter, melt bottle contents in one minute intervals which may be repeated until contents liquify. Allow 2-3 minutes for melting between microwave heating. Use hot-pad gloves to handle bottle between these insertions. If cap is not loosened, air won’t vent and bottle will crack. A double-boiler arrangement can also serve to melt bottle contents on a stove top. Pour liquified agar into each plate, anticipated to need for the test, and cover the bottom to about 6-7mm. Allow to harden or firm up at room temperature (24 hours or less). Plates are now ready to inoculate or refrigerate for later use. To begin (the test), wipe swab over item to be tested. Wipe the swab on the agar surface back and forth or in a pattern - lines, curves, figures - and label each dish with pattern description and a dish number. Repeat steps 3 and 4 for each petri dish in the test. Cover the agar test dishes and secure lid with tape. Store dishes upside down so condensation does not disturb bacteria grwoth. Keep in a warm, draft-free place as on top of a refrigerator. Check and observe dishes after about two days. Any discoloration, especially along swab pattern, represents bacterial growth.